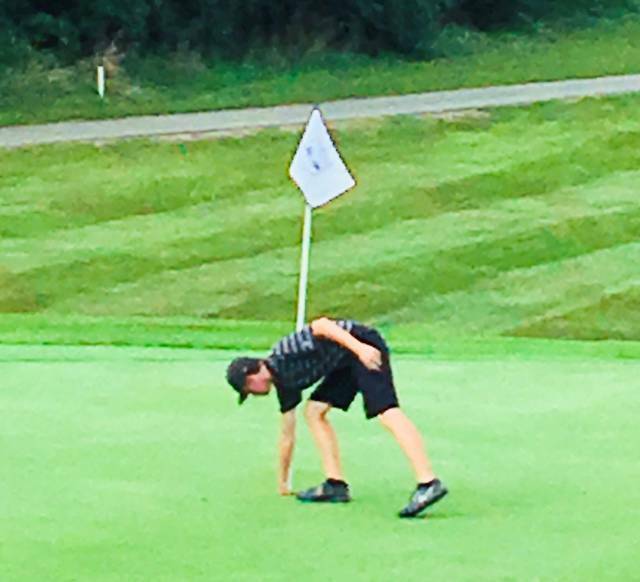 GREEN TOWNSHIP – Jack Murphy had a hole-in-one Thursday in Wilmington’s win over Blanchester in non-league boys golf action at Snow Hill Country Club. The Hurricane had a 207 team total while the Wildcats came in with 222. Murphy’s ace came on the 125-yard par 3 No. 6 hole. Murphy finished as match medalist with an even par 35. Zane Carey had 54 and Ely Schumacher carded a 57 for WHS. Brendan Powell had a 61. Braydon Conley played but did not score for the Hurricane. For Blanchester, Jacob Miller led the way with a 53 while Brian Miller came in with a 54 and Ashlin Benne had 55. Logan Heitzman had a 60. Trenton Czaika and Jacob Hamm played and did not score the Wildcats.